Anjunadeep is an independent record label based in London. Having begun life as an outlet for the deeper and more progressive end of trance trio Above & Beyond’s DJ sets, the label has now grown into one of the dance music world’s most respected imprints for deep, melodic house music. Readers of Deep House London will be no strangers to the prolific output of Anjunadeep, as in the last year alone we have showcased releases and artists like Clarian, Matthias Vogt, and Eli & Fur (whose “California Love” EP featured on our best of November 2015 list), to much acclaim. 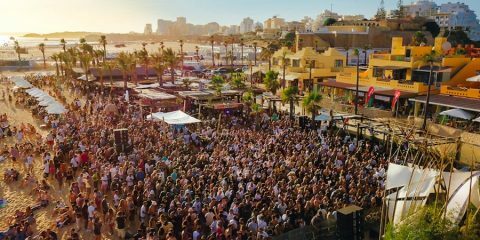 Aside from those aforementioned, Anjunadeep has also provided a platform for the diverse range of artists such as Yotto, Tom Middleton, Way Out West, Martin Roth, Vincenzo, Lancelot, 16 Bit Lolitas, Moon Boots, and Ryan Davis, with the likes of Dusky, Vincenzo, Lane 8 and Michael Cassette, releasing full length albums on the platform. 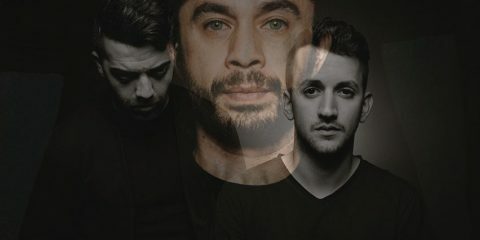 Dedicated to deep and emotive electronic music, Anjunadeep holds a unique position in the modern dance music world, championing music heard on the huge stages of Coachella and EDC, Nocturnal Wonderland, to Oasis Festival to the intimate dancefloors of Europe and everywhere in between. 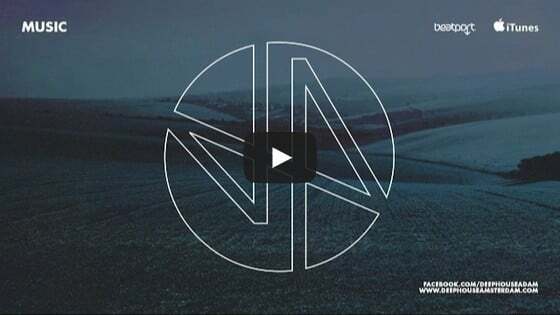 Over its 10 years and 250 releases, the sound of the label has evolved, but while the BPMs may have slowed, the mission statement of Anjunadeep has remained the same – to release timeless soulful and melodic electronic music. With that, we continue our new series here, and in conjunction with Deep House Amsterdam, highlighting some of our favourite labels from around the world, we thought we would catch up with label co-founder (and compiler, alongside Way Out West‘s Jody Wisternoff, of the annual, and highly successful, Anjunadeep compilation series) James Grant and get the scoop on all things Anjunadeep. Here, you will find information on the label’s history, ethos, releases and future. As you can probably tell by know, we are asking each respective label owner the same questions. With this approach, we hope these showcases will be as educational and informative (for all you aspiring label heads out there) as they are entertaining. Also, at the end of the article you will find an exclusive mix from James Grant giving readers an idea of the Anjunadeep sound as its meant to be heard…in the mix! What does Anjunadeep add to the dance music spectrum? It’s probably best to let others be the judge of that, but I’d like to think that we bring something unique to the spectrum, in our approach to melody and emotion in underground dance music. When did you first think of launching Anjunadeep? We launched Anjunadeep back in 2005, the reason was that there was a whole load of music around that didn’t really fit the brief for Anjunabeats but was still great music that we were really into, so it was an outlet for that. We enlisted the help of a Swedish chap called Ozgur Can, he helped us find David West’s ‘Larry Mountains 54’, which was the first release on the label. When did Anjunadeep actually launch? It actually launched in 2005. Story behind the Anjunadeep name? Not much of a story to this one, we had a label called Anjunabeats and when we were thinking of starting a label reflecting the deeper end of the dance music spectrum we thought Anjunadeep was the obvious choice. Probably convincing our core Anjunabeats fanbase that this music was relevant to them. Since it’s launch in 2001, Anjunabeats had grown into a respected label in the trance world, and a lot of the labels core fans were devotees to that scene, so initially we felt it might be a challenge to introduce a new direction to Anjuna. But thankfully our fans have always been extremely open-minded musically and really receptive to new sounds and artists, and it’s allowed us to continue to develop and diversify Anjunadeep’s output.